Double stars are those that appear as a pair of stars close together when viewed through a telescope or good binoculars. 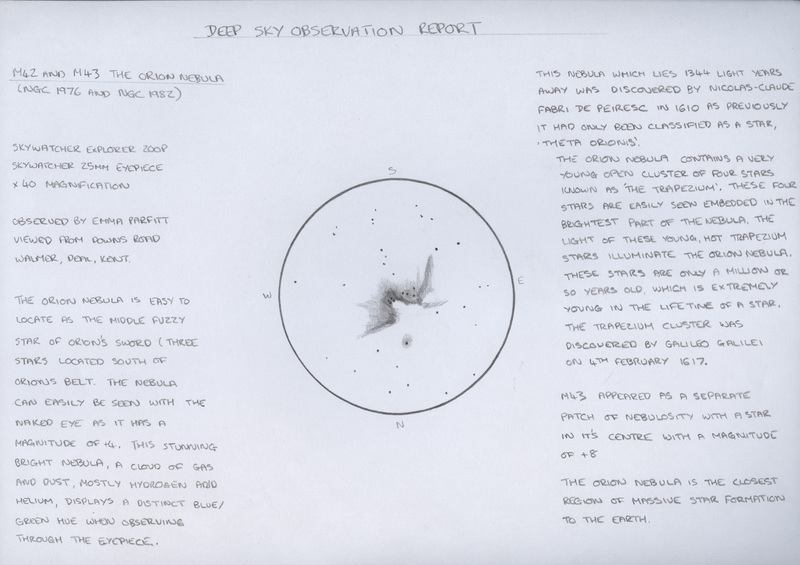 This can happen because the pair of stars happen to line up when viewed from Earth, or the stars are gravitationally bound together and rotate round a common centre. The former case is called an optical double; the latter case is called a binary system. 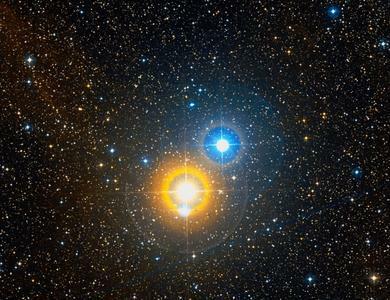 Binary systems are important to astronomers as reasonably simple observations and calculations enable the calculation of stellar masses. There are also multiple systems. Optical doubles that are unrelated. 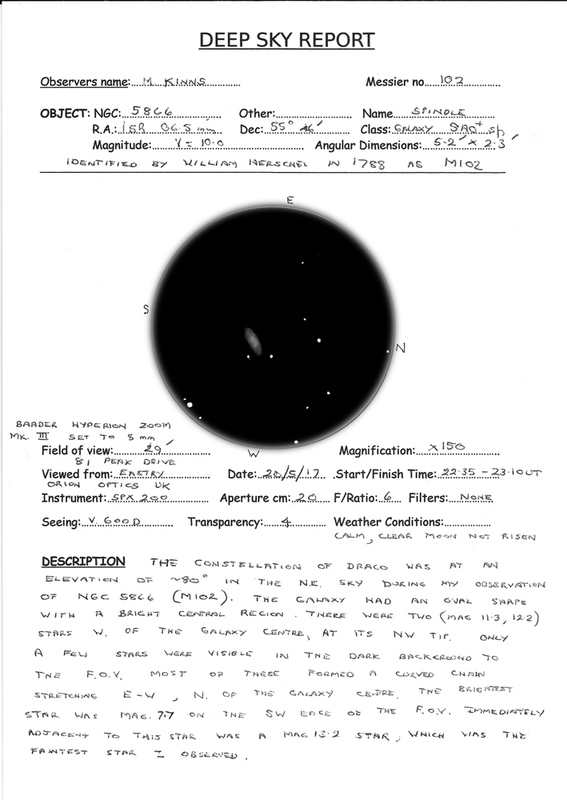 Binaries that are so close that they cannot be separated visually, but have been shown to be binaries by spectroscopy or by occultation (when one star goes in front of the other) or by other anomalies. 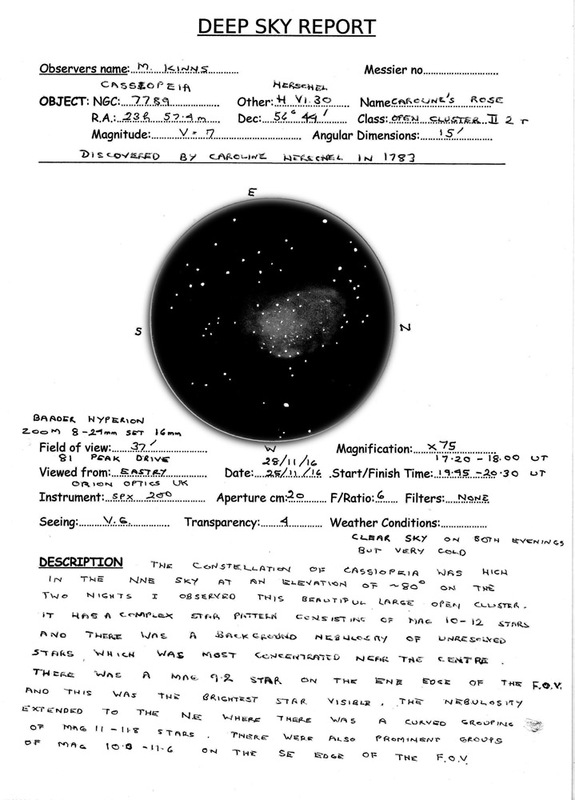 Most of the stars in the sky are doubles, and the boundary between types 2 and 3 is gradually being eroded by improvements in telescopes, but eventually the iron laws of optics call a halt to visual astronomy and identification. 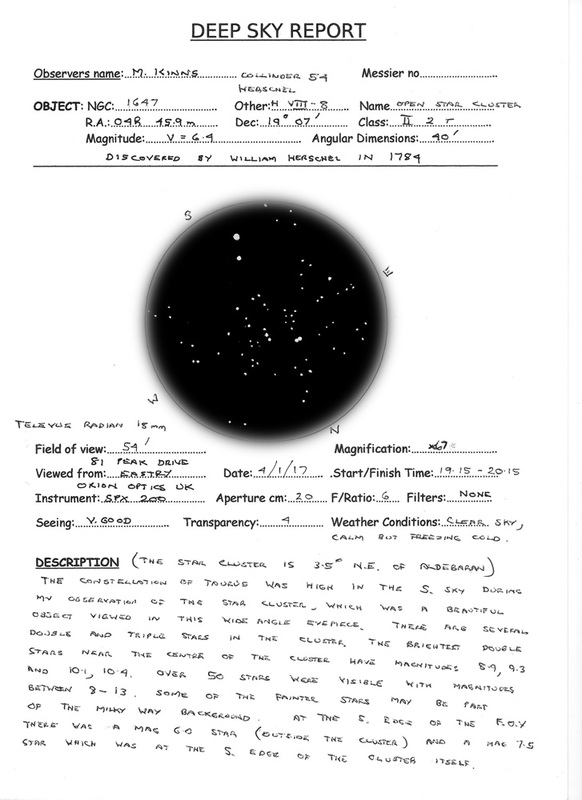 Mizar, in the constellation of Ursa Major, was probably the first system to be identified, possibly by Galileo but certainly by 1650. 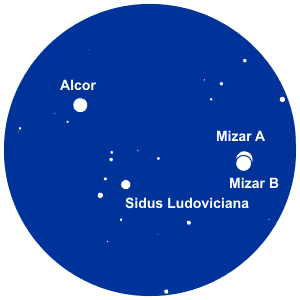 It is probable that the pair of Mizar and Alcor were known from antiquity, and someone with very good eyesight can just separate Mizar from Alcor, (but not, of course, the two stars of Mizar – that needs a telescope). The drawing shows the system. Mizar’s stars are certainly gravitationally bound and it is thought that Alcor is bound to the double star. The fourth star is not part of the system. It is an exciting thing to see for the first time. The position angle (PA), basically the bearing of the B component compared to the A component, North being 0 degrees. Thus if B was due South of A the PA would be 180 degrees. This PA can sometimes be tricky with stars of equal magnitude, although close doubles are easier to identify when the components are of approximately equal magnitude. 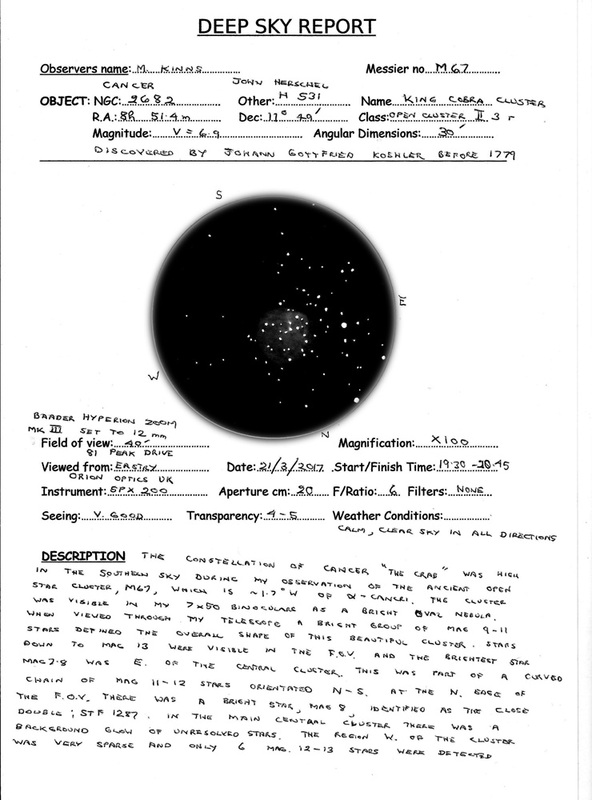 When one star is much brighter than the other the companion B star can be very difficult to see because of the glare from A. Sirius and Rigel are notable examples. 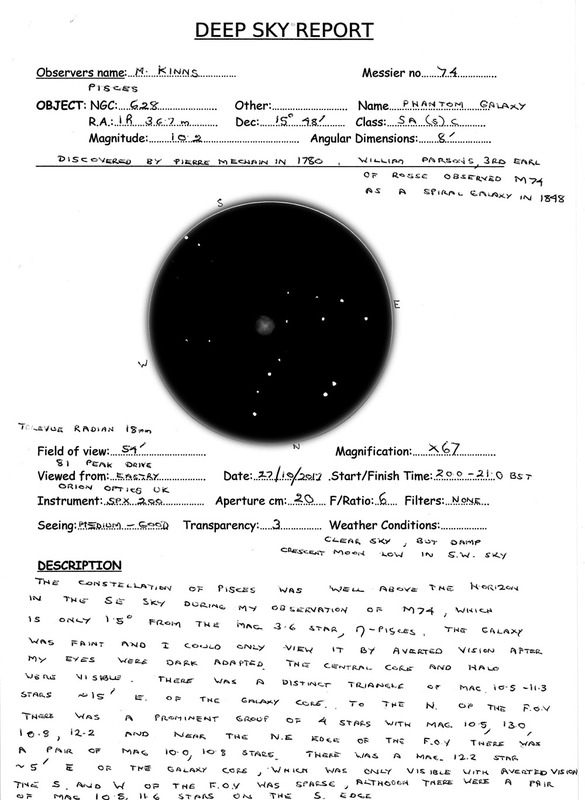 There is no particular requirement for equipment to observe and measure double stars; any good telescope will suffice, but of course you get the quality of image you pay for. It is also true that large telescopes will split doubles closer together than small telescopes, but that is the laws of physics operating. Serious observers say that refracting telescopes are better, but reflectors do perfectly well. Good eyepieces help, as high magnifications may be needed for close pairs. Many of us use SCT scopes which tend to have long focal length, so magnification is less of a problem. 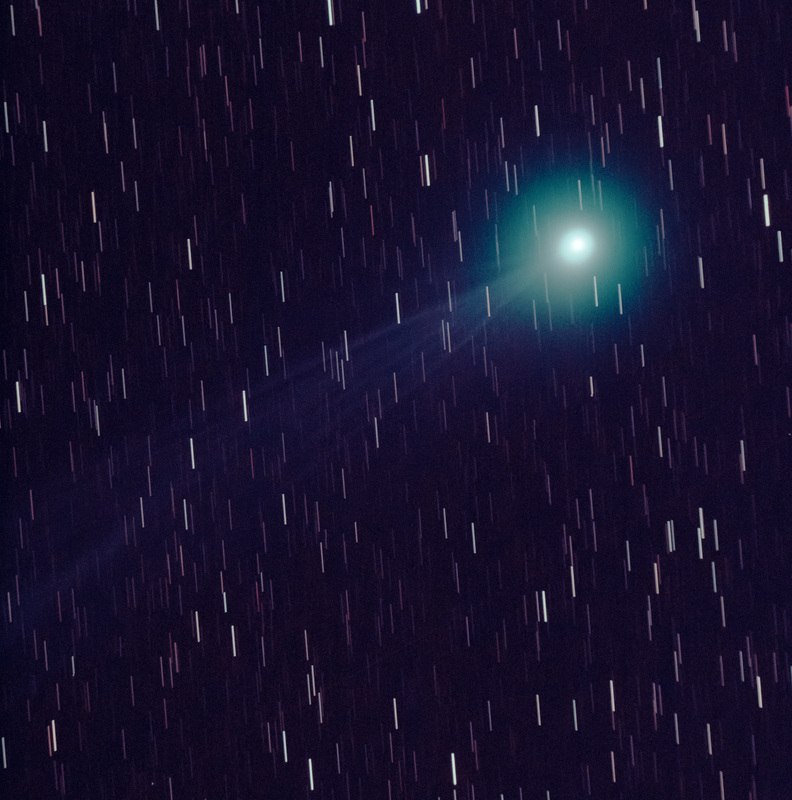 Probably wide field reflectors are least satisfactory unless of high quality. 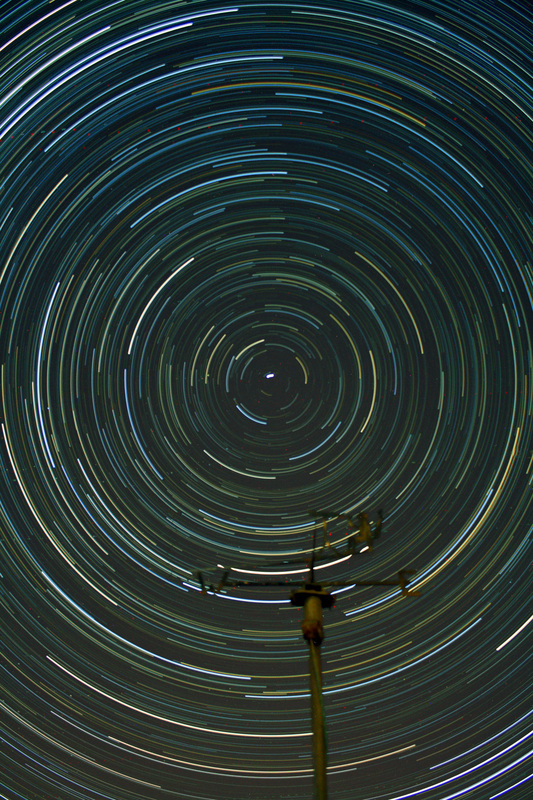 There are others, but the stars are often very faint. What to look for? Mizar is a good start, but a more beautiful star is beta Cygnae (Albireo). This is a double star with a gold primary component (A) and a blue-green secondary component (B) The stars are separated by 34.5 arc seconds, so are easy to observe, and are quite bright. 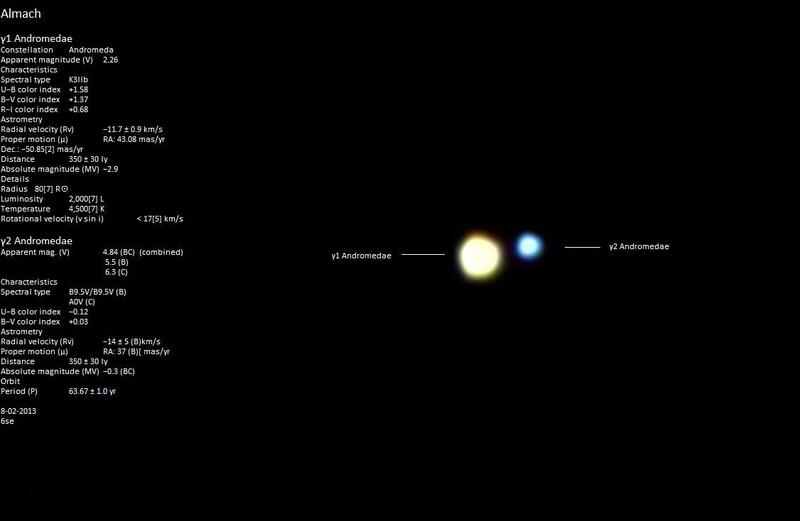 Another star with very similar colouring is gamma Andromedae (Almach) The stars are closer than Albireo but a bit brighter. 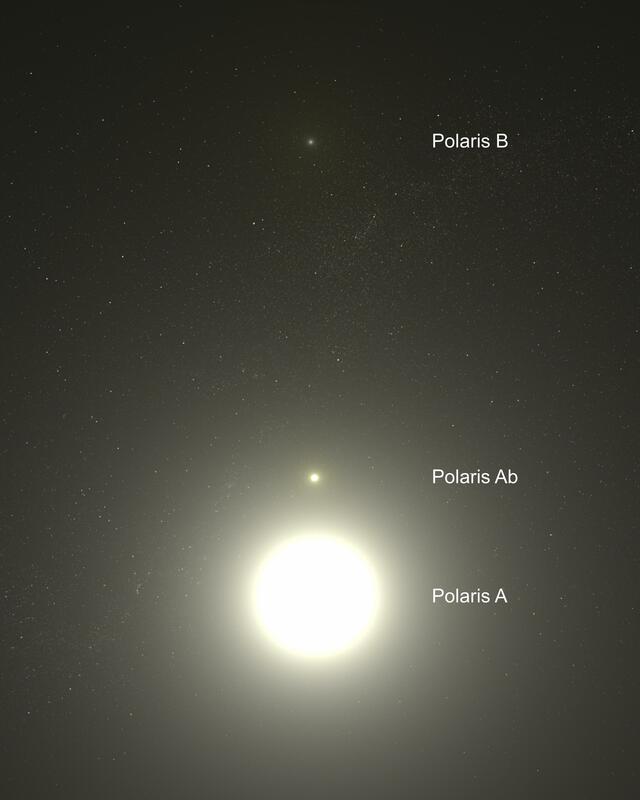 For a bit of a challenge on a clear night, try Polaris.You should be able to pick up Polaris B, but Ab will be lost in the glare of the giant star Polaris. There are lots of others. 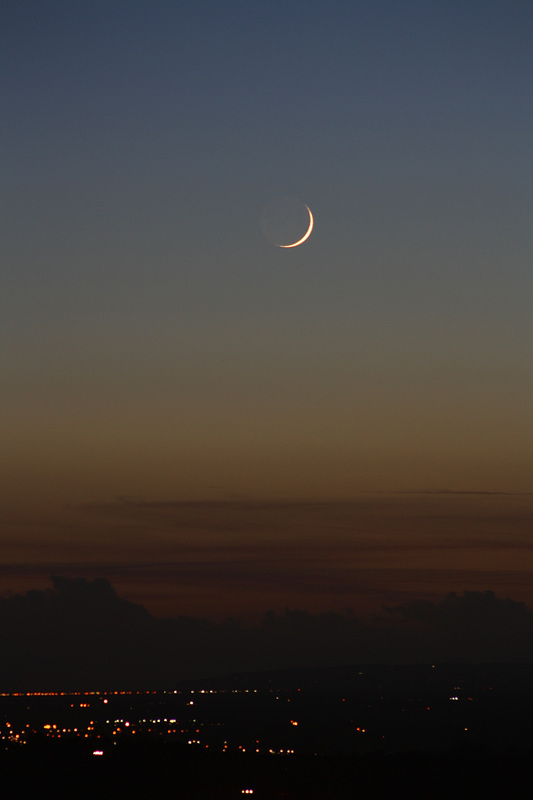 Try Cloudy Nights Forum – there is a Double Star section. 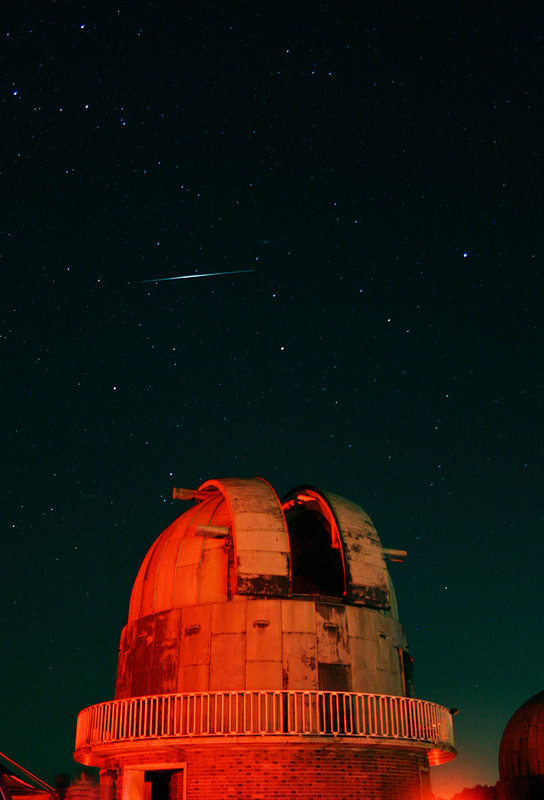 Do not be put off by the people who have huge scopes which they take into the desert and observe very faint stars. There is a lot for ordinary mortals too. 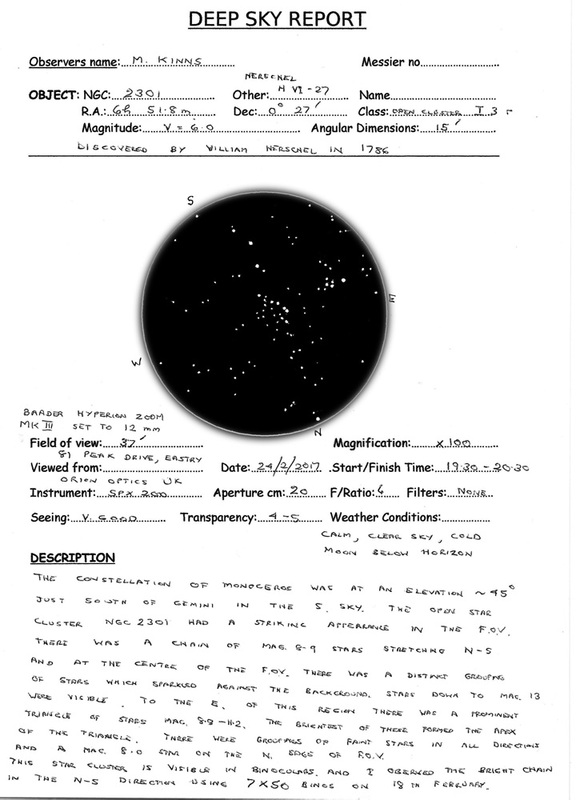 The Saguaro Astro Club from the US has a very useful Double Star list as an Excel file which has most objects that anyone starting out will ever need, and for those with computerised scopes many of them have SAO (Smithsonian Astronomical Observatory) star catalogue numbers as well, which many scopes have built in. Lastly a real challenge. The American Astronomical League has a series of challenge lists. There is one for 100 Double Stars. They vary in difficulty, both of identification and also to split the components. 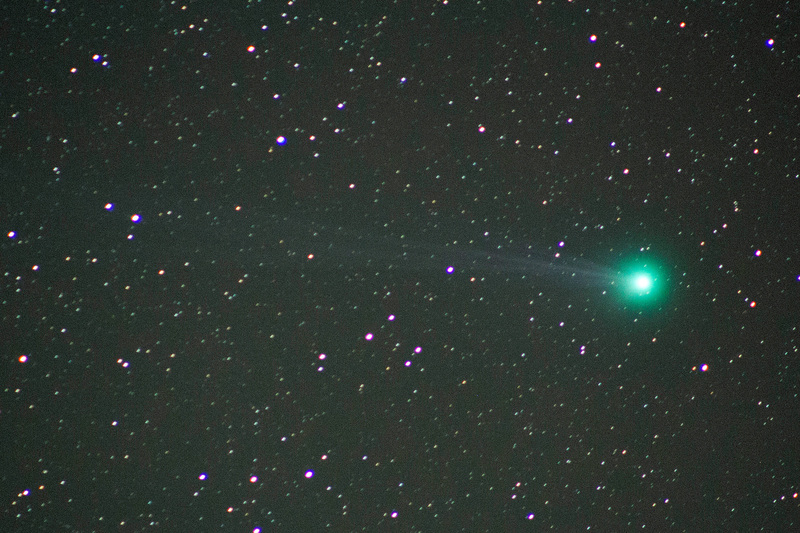 98 of them are easily observable from the UK at different times of the year. Two doubles, one in Hydra and one in Puppis, are very difficult because they are very low in the sky. 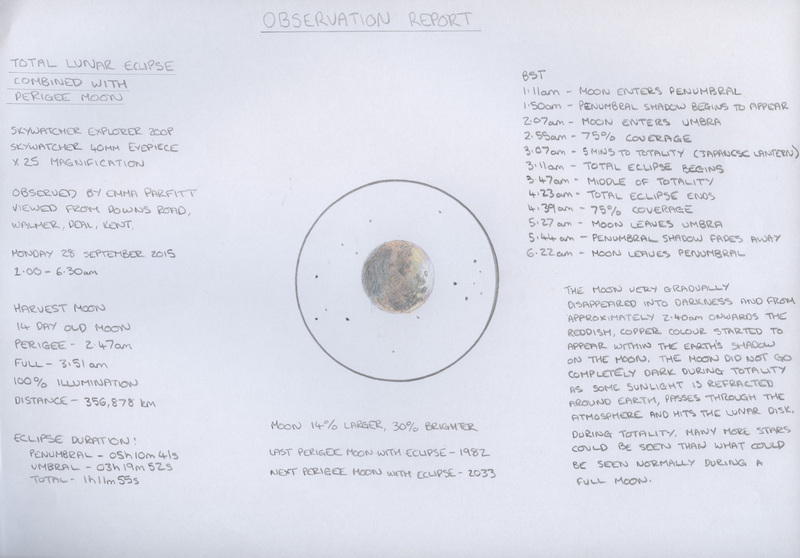 Try it, it’s great fun and will improve observation and star finding. 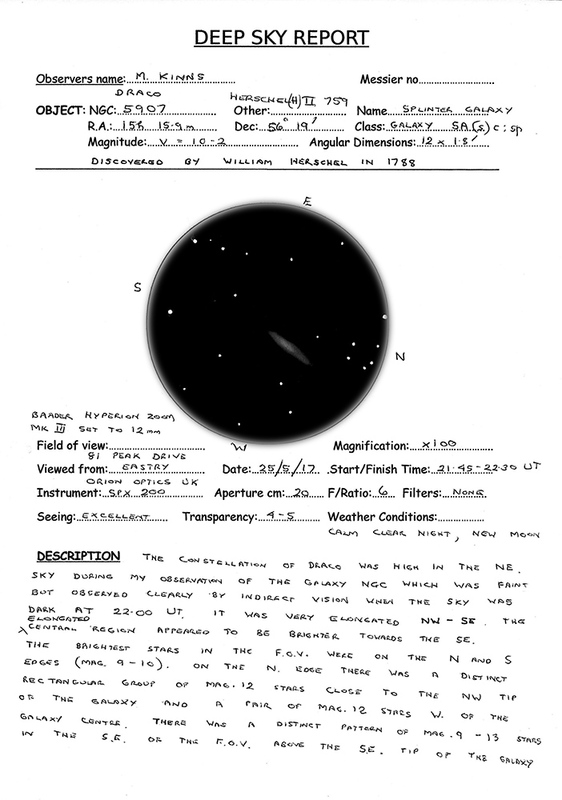 Phil is the SEKAS Double Star expert and Astronomy historian. He is a regular speaker at the monthly meetings, and has spent a long while sitting on the SEKAS committee in his time as a member, most recently as secretary.